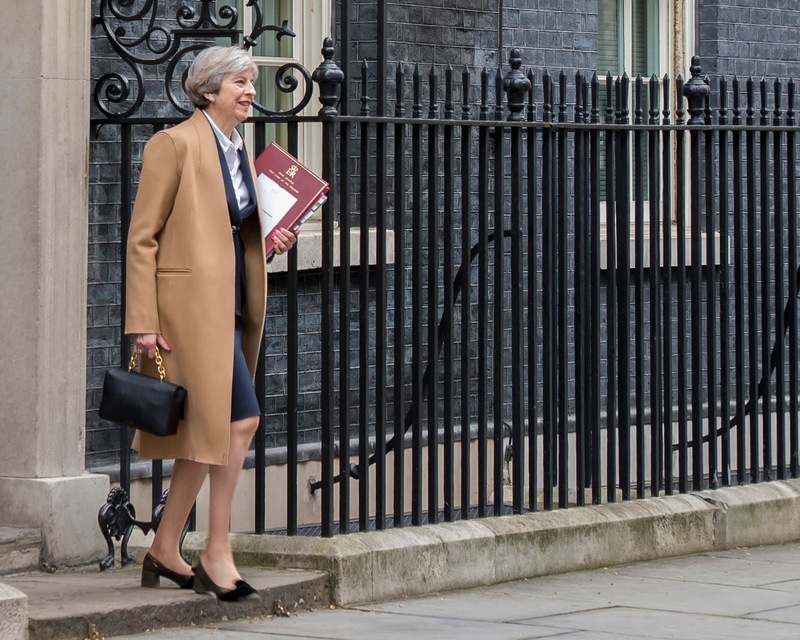 This week saw Prime Minister Theresa May officially triggering Article 50, and beginning the long process of Brexit. But before we got there, the Prime Minister visited Scotland on Monday, meeting employees at Police Scotland and the Department for International Affairs and delivering a speech. Later in the day, she met First Minister of Scotland, Nicola Sturgeon in Glasgow. For these important meetings, the PM returned to a familiar navy and white springesque outfit. May wore the Wallace dress from Maria Grachvogel with a navy two tone fabric blazer. She accessorised with a pair of vintage Russell & Bromley leopard kitten heels, a string of pearls and an Amanda Wakeley bag. On her return to Downing Street, the PM met the Qatari Prime Minister. 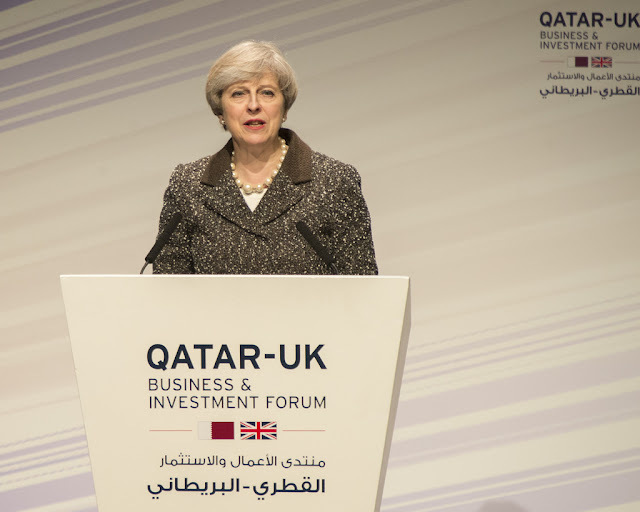 On Tuesday, the Prime Minister was in Birmingham for the Qatar-UK Investment Forum where she met with a mix of business leaders. 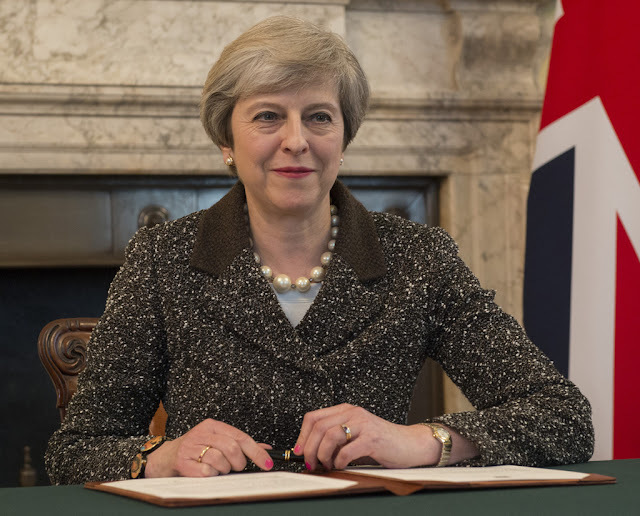 On her return to London, she officially triggered Brexit, signing the letter invoking the Article 50 process. 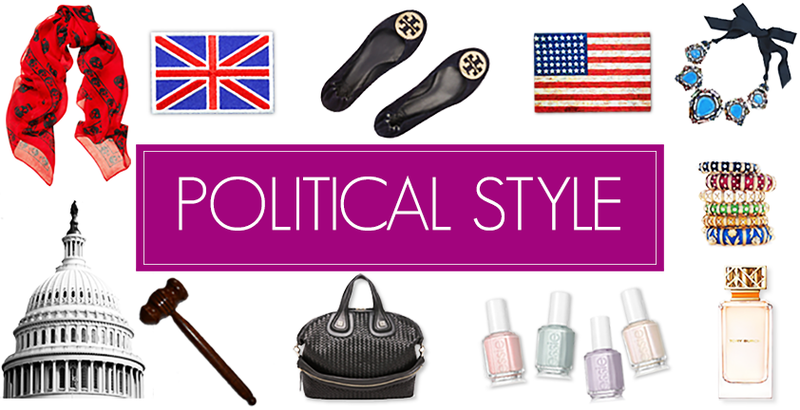 For these meetings, May wore a brown tweed blazer, black trousers and the leopard Frames flats from Russell & Bromley. On Wednesday, Theresa May was in the House of Commons for Prime Minister's Questions and her address on the Article 50 process. 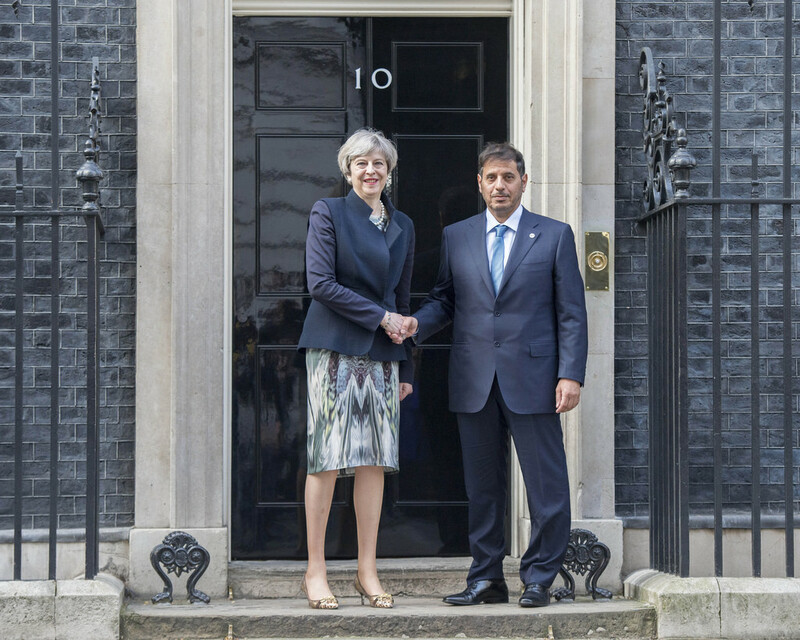 For this important day, May wore a navy suit by Escada, a crisp white blouse and the Twister block heel pumps from Russell & Bromley. She wore her new camel coat and carried her familiar Amanda Wakeley chain bag. Some hot pink nails provided a splash of colour! And in the evening, May did a sit-down interview with journalist Andrew Neil in Number 10 about the Brexit process and what's next for Britain.